The Flight of the Silver Vixen by Annalinde Matichei may initially appear to be a piece of feminist science fiction. In a certain sense it is, though it is likely to appeal to a much wider audience while simultaneously disappointing the more doctrinaire feminist reader. It deals with the classic theme of worlds without males – a tradition begun in 1880 by Mary E. Bradley's Mizora. 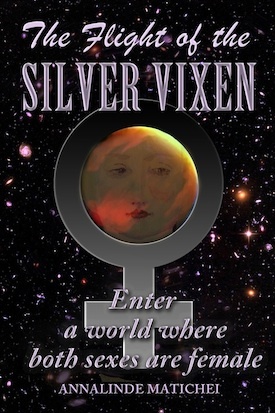 The Flight of the Silver Vixen is unique, however, in that its central characters are not a race of women separated from men and somehow reproducing without them, but a feminine species with two feminine sexes that has never had any relation to any form of masculine being. But the uniqueness of the book goes much deeper than that. Beneath the surface of an all-action swashbuckling tale of all-girl derring-do, lies a philosophical and even a devotional depth that soon becomes apparent. When we reviewed Nausicaa of the Isle of the Wind, we found it to be an unintentionally Filianic film: an allegory of the universal Archetype of the Feminine Savior written by a Marxist atheist (who began to question his atheism as a result of the experience of making the film). The Flight of the Silver Vixen is almost the reverse of this. It is not a religious allegory, and its central characters are rebellious gang-teenagers (although much more civilized than that makes them sound to an Earthling ear!) who steal a space-craft. However, the background culture is one of faith in Our Mother God and in the deeper philosophy of thamë that underlies a Déanic civilization. ’Lannie, the younger maidservant, began softly to cry. But the story goes far deeper than this. The idea that all authority derives from Dea is fundamental to the thinking of HMAS Silver Vixen's crew – hijackers though they are – and when they find themselves completely cut of from Mother Empire, their first thought is to re-establish legitimate authority among themselves. Ironically, they soon find themselves in an all-feminine world that is beginning to lose the concept of Divine thamë and the young rebels find themselves thrown into the position of potential saviors. “I wonder too,” said the Captain. It did indeed seem very strange. At home it would be questioned whether a people who lacked a basic grounding in the Metaphysics of Polity could be fit to govern a village, far less a Ranyam. Princess Melenhe, like every royal person, even those far from the throne, had been brought up from her earliest years on the Science of State. 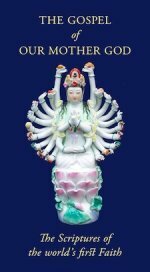 RaiAntala had no such background, but like every educated person, she understood the symbolic principles on which all life is founded. She had heard of peoples who had lost these principles, who even had no true Royal Line. She knew also of peoples who termed the aethyr “space”—as if all that great distance she had travelled to this world were not pervaded by the fifth and immaterial element, but were a void of simple nothingness – a “space”. RaiAntala felt a sudden vertiginous lurch in the pit of her stomach as she stood for a second, in imagination, upon the precipitous void of this empty universe. She knew that the two voids were one: that which was enacted in the State and that which was imagined in the aethyr. Could it be that the people of Astarche were so far strayed that they were less of a State than the tiny polity of the Silver Vixen? We can see by now that we are a very long way from the usual territory of feminist science fiction, which tends to be firmly on the side of that very void that so appalls the Captain – the secular-materialist view of life, the universe and politics. “And are they or are they not entities who seek to gain entrance to the human soul?” asked the Commander. “But this is a long and complex subject upon which I am sure you did not come for a lecture. Let it suffice to say that for all practical purposes you may regard demonic forces as entities that all civilizations have been profoundly aware of, which pose a threat to both the individual and to the social order as a whole. When the integrity of either is breached, they may gain access. The Flight of the Silver Vixen can certainly be called a philosophical novel, and a philosophical novel written from a Déanic standpoint. It also explores other areas of thought – the question of language-translation engines, for example, (often avoided in science fiction stories, by having aliens mysteriously talking English) is treated seriously and some interesting ideas about the nature of language are raised as a result. But we should be leaving a false impression if we were to make this seem like a primarily philosophical novel. It has philosophy in it, certainly, but it is fundamentally an action adventure story. However, underlying any action is a philosophy. Many science fiction stories ignore this and assume that all beings have essentially the same philosophy as modern western Earthlings. Miss Geneviève Falconer once said of Star Trek that it was the story of people who traveled unimaginable distances to inconceivably alien worlds and always found an American liberal-capitalist moral. The underlying moral, or ethos, of The Flight of the Silver Vixen is that of Déanic faith and philosophy. The Flight of the Silver Vixen is available as a paperback and on Amazon Kindle. You can find it here.